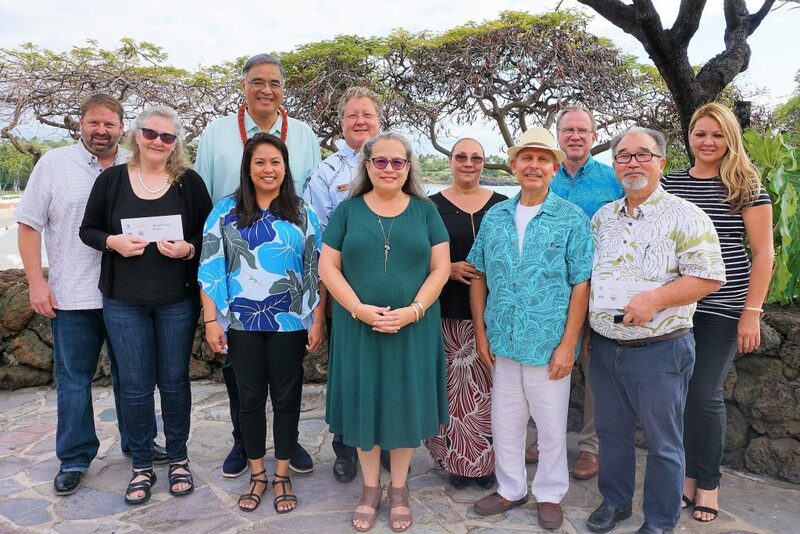 The Hawai‘i Lodging & Tourism Association, in partnership with the Hawai‘i Tourism Authority, distributed $61,000 on Thursday, April 4, 2019, to seven nonprofit organizations on Hawai‘i Island that serve the homeless. The recipients were Catholic Charities Hawaii, Habitat for Humanity, Hawai‘i County Economic Opportunity Council, Hawai‘i Food Basket, Hawai‘i Island Home for Recovery, Hope Services Hawaii and The Salvation Army. 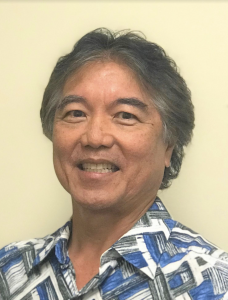 The organizations, which have been serving the homeless on Hawai‘i Island in tourism-impacted areas, were all selected by the HLTA based on county chapter input and subject to final approval by the state board. HLTA President & CEO Mufi Hannemann and HTA President & CEO Chris Tatum presented the grants at a ceremony held at the Mauna Kea Beach Hotel. They were joined by HLTA Hawai‘i Island Chapter Chair Craig Anderson. 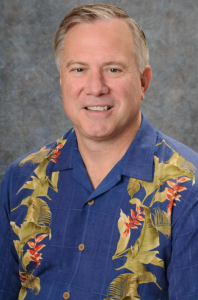 Hannemann said, “These matching grants were the result of a very productive public-private partnership of the state Legislature and administration, Hawai‘i Tourism Authority and visitor industry, as represented by the HLTA. All of the money from the state, both tax revenues and matching funds, were generated by our top industry, tourism. Moreover, it’s going to a cause that addresses a long-standing concern for our entire community, not just the visitor industry. “Today’s check presentation represents a breakthrough collaboration between the Visitor Industry and State of Hawai‘i in providing financial support to the important organizations who are working tirelessly to help our homeless population in need,” said Anderson. 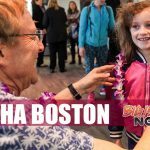 The funding was authorized by Act 86 (2018), which was championed by House Tourism Chair Rep. Richard Onishi and Senate Tourism Chair Sen. Glenn Wakai. 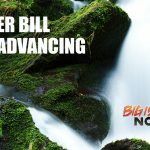 The measure appropriated up to $1 million dollars from the general revenues of the State of Hawai‘i to nonprofit organizations addressing homelessness in tourism-impacted areas throughout the state. That revenue is to be matched dollar-for-dollar by the private sector. Kaua‘i groups received their grants on Monday, April 1. Maui allocations were Tuesday, April 2 and the O‘ahu presentations were held earlier on Thursday, April 4. The Hawai‘i Lodging & Tourism Association is a statewide organization representing hotels, condominiums, timeshares, other lodging entities, suppliers, and related firms and individuals. HLTA is dedicated to supporting Hawai‘i’s visitor industry through education, political action, and membership benefits, and raising awareness about its contributions to communities throughout the state.